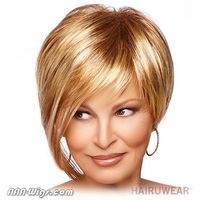 A straight, long layered cut with optional side swept bangs, this feminine silhouette features a lace front for off the face styling and a Sheer Indulgenceâ„¢ monofilament part for added parting options. Head Shapes Oval, Round, Diamond, Heart & Oblong shaped faces. R2, R4, R6, R6/30H, R829S/R829S+, R9F26, R10, R11S/R11S+, R13F25, R14/25, R14/88H, R1416T, R1621S/R1621S+, R23S/R23S+, R25, R28S/R28S+, R29S/R29S+, R3025S/R3025S+, R32/31, R3329S/R3329S+, SS8/29, SS11/29, SS12/22, SS14/25, SS14/88, SS23.